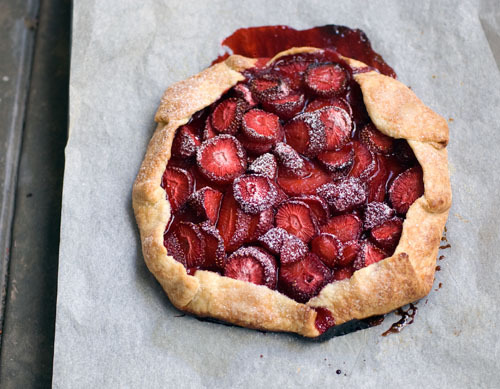 A beautiful galette and wonderful way of using an overload of strawberries! haha the toilet paper! love! Loving the look of both the muffins and the galette! I’ve been enjoying punnets upon punnets of cheap strawberries lately, too. my mother has cupboards full of toilet paper; we tease her about her fear the great global toilet paper shortage (yet to occur). i love a fruit galette! (isn’t ‘galette’ a wonderful word?) sadly i never have an abundance of strawberries, but i often make them in the summer with stone fruit like nectarines or apricots, from either my trees or my father’s. they are simple, and glorious. ps i’ve listed you on my blog under ‘favourite things’; please let me know however if you don’t wish to appear. 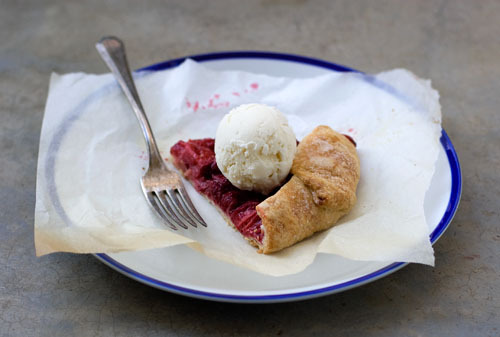 I love when desserts are all about fruit, like your strawberry galette. Looks delicious! Our home too have a lot of toilet papers..LOL! I love galettes! That looks fantastic! Simple, delicious, and – dare I say it – frugal! 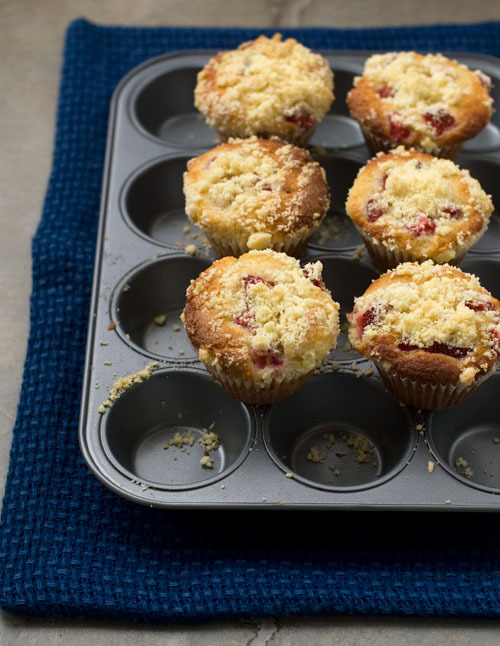 I just spontaneously bought strawberries for muffins too. e / dig in hobart : Now that you’ve mentioned it, I can’t wait for stone fruit to truly come into season here too. Love nectarines and cherries in particular. It’s a shame that I rarely come across really good apricots here. Thanks for listing me on your blog! Oh dear, I’m exactly the same way. There is nothing more thrilling than getting an awesome price on a huge haul of produce, even if I have no plans on how to use them. That’s part of the fun, actually! An over abundance of anything helps spur creativity, since there’s so much raw material to play with. i only discovered the full magnificence that an apricot can achieve when i moved to tassie. come back in a few months time! This was so easy to make and so amazing delicious too. I’m not much of a cook but I couldn’t say not to something with strawberries, it was demolished within minutes of coming out of the oven. Will definitely create with one again for the friends. Thanks for sharing. I´m happy there´s people who know what life priorities are. Like lamb chops and strawberries. Agree 100%.